Addendum, July 27, 2005: This page has had many more visitors than other photos in this gallery. If visitors would leave a comment or e-mail me a note about how they got here or what they like about this photo, I would be thankful! Copyright © 2003-2005 Brian W. Ogilvie. All rights reserved. Please e-mail me if you would like to use any of my photos. You asked why so many visitors to this photo - I will be traveling to Paris this spring. In checking the neighborhood where I will be staying on googlemaps, I saw this mural which intrigued me. 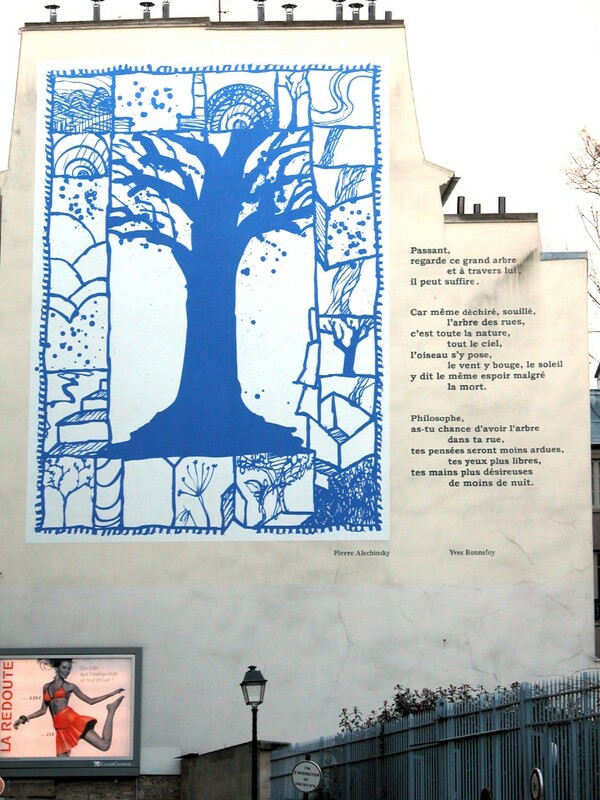 A searched for "alechinsky bonnefoy mural" led me to your site. Thanks so much for the translation! Your photos are beautiful - makes me even more excited to be in Paris soon.